Le temps est venu pour un grand voyage! It's Paris in July time. I hope to post regularly on a range of fun, colourful, food, film, book and other cultural highlights from Paris and France. I'm keen to bring a little bit of Paris into my Wintry July. For what ever reason you love Paris in July, join in - each week or just once - we'd love to learn about what Paris in July means to you. Here's the Mr Linky - you can register your interest to join in here. Yay! I'm so excited! I've already found two books that I will definitely reading for Paris in July - hurrah! I was so surpriced that it is July that soon. Looking forward to a month in the sign of Paris! 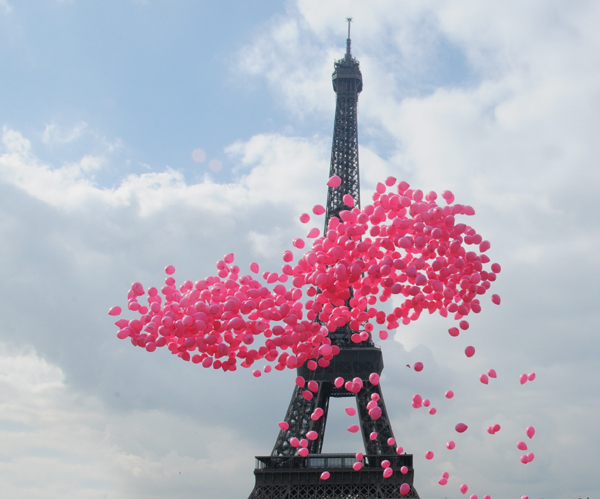 I was just talking about Paris in July today -- I'm so excited you will be holding the event another year! Tamara, you know it wouldn't be summer without Paris in July! I'm sure I will read and r view French literature, specifically some short stories of Guy de Maupassant. But, you know I'll have to throw in a post or two about parfum as well! So glad you're hosting this event again! Think I may have put myself on twice..
You know this is one of my favorites! I can't wait to play along! I already have a list! It includes Zola, Hugo, and Dumas. I love Paris in July! So pleased to find this will be happening once again.. I'd included it in my blog posts on #20booksofsummer and others , making selections based on France, yet hadn't been able to find any mention of the actual challenge til now, so I'm super glad - Thanks for hosting, Tamara! Glad to see this event. This will be my fourth year. This is the first I've know about Paris in July. How have I missed this the past five years? Please count me in. I adore Paris, and have spent a good bit of time there through the past two decades. Is there a theme for each day or week? How does this work? I suspect I'll only get to posting once a week, unless I can link up some previous posts about Paris. Please let me know how this works and what you expect. I'm excited about joining in the fun! Merci! Just discovered your event, sounds like a perfect excuse to indulge in all things French, looking forward to participating! Mr Linky doesn't seem to be there, I hope that doesn't mean I'm too late to participate. Linking up anyway, looking forward to checking out everyone's posts! It's never too paste to join. All welcome. Please be patient, but I'll eventually get all of you linked to my side bar. Theres no real rules. It's about Paris. I'm new to Paris in July this year too. Wonderful idea, between you and Paulita's Dreaming of France, some of my memories of being in Paris in July from many years ago are coming back. I guess I need to say thanks for the memories! I'll try to get by and visit everyone's posts!